Shifting cultivation is one of the oldest forms of subsistence agriculture and is still practised by millions of poor people in the tropics. Typically it involves clearing land (often forest) for the growing of crops for a few years, and then moving on to new sites, leaving the earlier ground fallow to regain its soil fertility. This book brings together the best of science and farmer experimentation, vividly illustrating the enormous diversity of shifting cultivation systems as well as the power of human ingenuity. Some critics have tended to disparage shifting cultivation (sometimes called 'swidden cultivation' or 'slash-and-burn agriculture') as unsustainable due to its supposed role in deforestation and land degradation. However, the book shows that such indigenous practices, as they have evolved over time, can be highly adaptive to land and ecology. In contrast, 'scientific' agricultural solutions imposed from outside can be far more damaging to the environment and local communities. The book focuses on successful agricultural strategies of upland farmers, particularly in south and south-east Asia, and presents over 50 contributions by scholars from around the world and from various disciplines, including agricultural economics, ecology and anthropology. 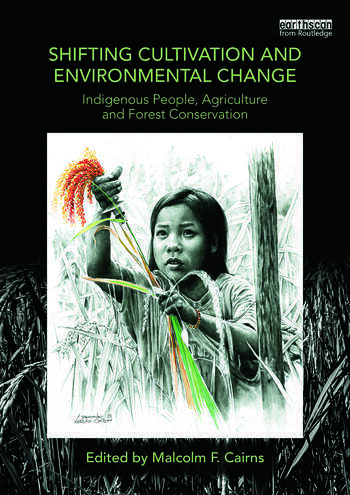 It is a sequel to the much praised "Voices from the Forest: Integrating Indigenous Knowledge into Sustainable Upland Farming" (RFF Press, 2007), but all chapters are completely new and there is a greater emphasis on the contemporary challenges of climate change and biodiversity conservation. 8. Shifting Agriculture and Fallow Management Options: Where do we Stand? Part 2: Is Shifting Cultivation really the ‘Bogeyman’ of Climate Change and Biodiversity Loss? 13. Climate Change Adaptation, Mitigation and Transformations of Shifting Cultivation Landscapes: Are we Throwing out the Baby with the Bathwater? 19. Dynamics of an Island Ecosystem: Where to Now? B) Is Shifting Cultivation Friend or Foe to Biodiversity? 20. Second thoughts on Secondary forests: Can Swidden Cultivation be Compatible with Conservation? 32. Shifting Cultivation and Wildlife Sanctuaries in Ancestral Domains: Friend or Foe to Biodiversity Conservation? Part 3: Specialization for Markets or Continued Agrodiversity for Subsistence? Malcolm Cairns is a consultant and researcher based in Chiang Mai, Thailand. He was recently a Research Fellow at the Center for Southeast Asian Studies (CSEAS) at Kyoto University, Japan and has extensive experience working across South and Southeast Asia. He is editor of Voices from the Forest (RFF Press, 2007).